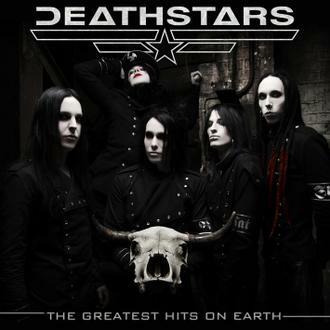 For those of you who dont know 'Deathstars' are a Swedish band from Stockholm that perform industrial and gothic metal. 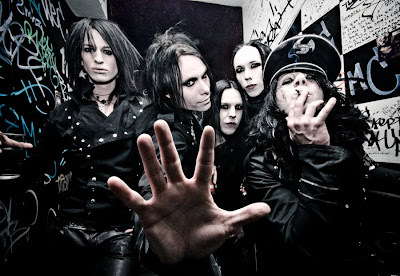 Formed in 2000, the group are noted for their dark horror-themed lyrics, pessimistic and misanthropic social commentary, distinctive trademark face paint, dark stage uniforms and physical appearances that correspond to gothic fashion. 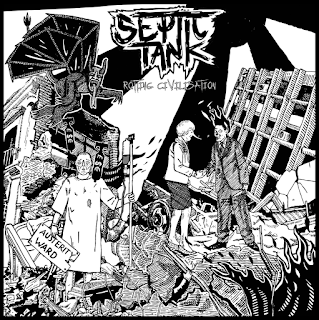 They have released three full-length studio albums; Synthetic Generation (2003), Termination Bliss (2006) and Night Electric Night (2009). Supporting Korn on their European tour throughout January and February 2008 and fellow Swede Adrian Erlandsson (Nemhain/Paradise Lost/At The Gates) filled in on the drumming duties for the tour. At the end of this year they were picked by 'Rammstein' to support them on their european tour. In celebration of the whole thing, the Swedes have arranged a collection of their hottest hits from the past three records now, which will be released just in time for the tour opening. They have also recorded two new tracks for the release. So its got 'Cynaide' and 'Blitzkrieg' on it so thats a 10/10 rating already, but it pretty much has all my other favourite death/glam tracks as well. To the two new songs, the first is 'Death Is Wasted On The Dead' which sounds like a Type O.Negative song title if ever i heard one, musically sounds a bit like HIM jamming with Depeche Mode until that distinctive vocal comes in, nice and catchy but definatley on the melodic side. The second track 'METAL' is a lot punchier and more typical of their work, heavy drum beats and cool riffs! 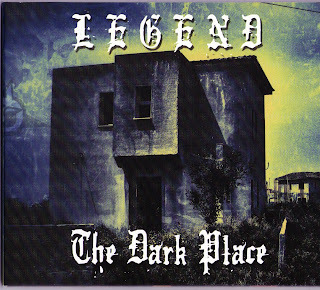 For Fans Of : Rammstein, Sisters Of Mercy, Marilyn Manson. They are good musicians. I am Rammstein fan, and I think that Deathstars is the best band to play before Rammstein!